Scrape the sculpting clay out with your fingers, and take it into the hands, warm it up and dissolve the clay. Next, work the sculpting clay into the hair. Wipe it all forward and backward, so you cover all the sections. Now you have excellent coverage from front to back and you can style the hair with fingers or comb to your satisfaction. 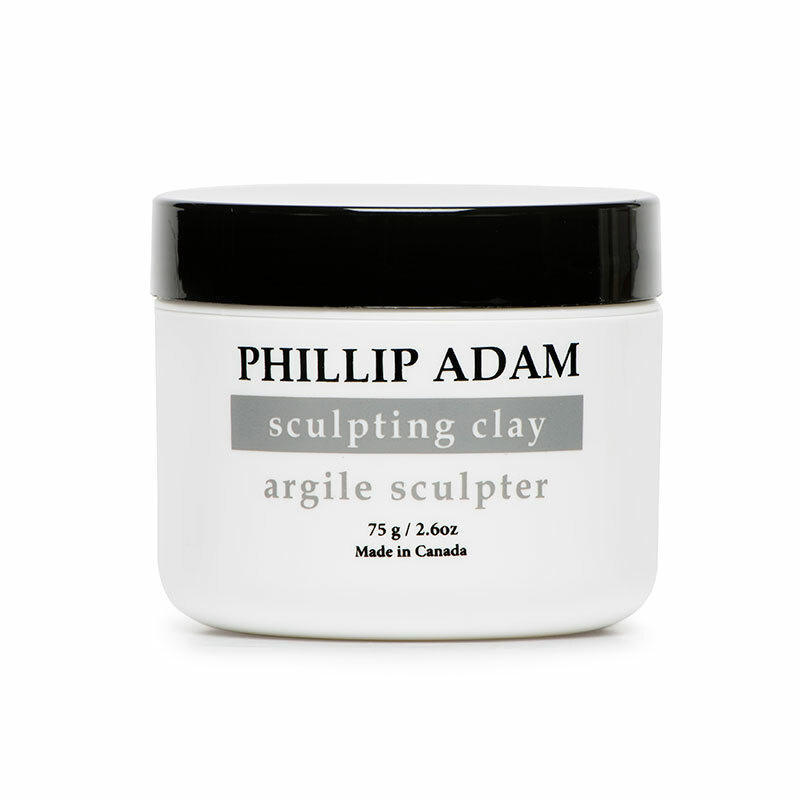 Tip: It is easier to spread the sculpting clay throughout the hair if it is a bit damp. With dry hair you may need more product, but you may get a firmer hold, if desired.